She may represent Apple’s home state, but in April Sen. Dianne Feinstein, D-Calif., joined the FBI’s fight against the tech giant when she introduced a bill allowing courts to force companies to help law enforcement access devices. The move followed a federal quest to unlock the iPhone of a drug dealer — though media reports put the number of phones needed for evidence in the hundreds. Feinstein’s bill, called the Compliance with Court Orders Act of 2016, was all but dead in less than two months. Sen. Dianne Feinstein at a Senate Intelligence Committee hearing. Screenshot courtesy Senate Intelligence Committee. Machine deep learning is already moving past finding cats in YouTube videos. Pentagon Deputy Secretary Robert Work said in April that the concept is poised to help the U.S. gather better intelligence about the Islamic State (ISIS). The idea is to write programs that learn complex information from data after “training” to interpret it. Deep learning holds the promise to help the U.S. learn about how ISIS functions, according to Work — as evidence, he pointed out that it has already been used to parse through images of airplane crashes. Putting super-fast fiber in the ground is only half the battle — after laying it down, many cities have had trouble getting people connected to it. But Santa Cruz, Calif., thinks it can do the second part in a fast, cheap way. Partnering with fiber owner Cruzio and Siklu Communication, Santa Cruz installed millimeter wave radios to wirelessly connect residents to existing fiber as it seeks to build out its network. The city announced the partnership in April and turned on the equipment in June. On April 6, Facebook launched a new video livestreaming service much to the Internet’s liking. But Facebook Live doesn’t have to be limited to newspaper experiments or event broadcasts, argued the company’s Government Outreach Director Katie Harbath — it can be useful for public officials as well. The Canadian government has been using the tool to help thousands of people watch meetings, and Harbath said that the ability to receive instant feedback opens up new opportunities for government. A study from the University of Washington Emerging Capacities of Mass Participation Laboratory looked at online behavior surrounding rumors, and came to some interesting conclusions. When public officials release statements correcting misinformation online, the news tends to travel fast and prevent the spread of falsehoods. That’s even true when officials’ social media accounts don’t have many followers, according to the study. After a cyberattack at the U.S. Office of Personnel Management affected more than 22 million people’s data in 2015, the agency led a month-long Cybersecurity Sprint to improve practices. 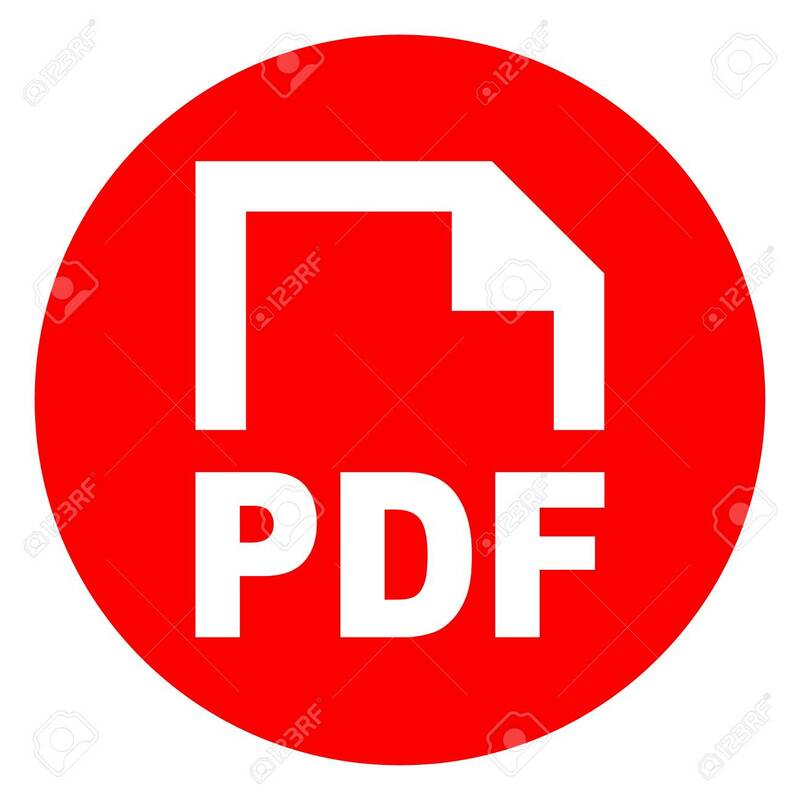 But that effort, according to a report from the International Information Systems Security Certification Consortium and KPMG, was far from enough. The report found that the majority of federal workers still believe their agencies don’t understand vulnerabilities and the government as a whole can’t detect ongoing attacks. The study also found that many feel cybersecurity is unimportant. Don’t leave all the cute animal posts to the public — according to Kristy Dalton, aka GovGirl, government can do a lot of good by getting creative and funny on social media. In recent years, local agencies have found a lighthearted approach can help engage more citizens and spread messages further. The best side effect of a larger audience on social media? More people are reached when it comes time for important announcements. The Missouri Department of Transportation's Twitter post on World Turtle Day that infuses a bit of humor while sharing an important message: It’s #WorldTurtleDay! Turtles are moving across MO as weather gets warmer. Give them a break as they cross the road! Image via Twitter/@MoDOT. This year saw increasing support of public-private partnerships (P3s) among government officials, meaning more and more leeway for government to fund projects with commercial investment. In May, Seattle Mayor Ed Murray said the private sector is the best option to expand his city’s broadband network. Tennessee and Kentucky both passed laws allowing for P3s this year. Officials in Denver, San Francisco, Santa Cruz, Calif., and Prince George’s County, Md., have also embraced the idea. The cloud isn’t a cure-all. At the Florida Digital Government Summit in May, the state’s chief technology officer and private industry representatives discussed the importance of knowing the limits of the concept before making the move. There can be surprise costs related to bandwidth, for example, as well as penalties for exiting a contract. Some security tools need to be re-examined when applications are moved to the cloud as well. 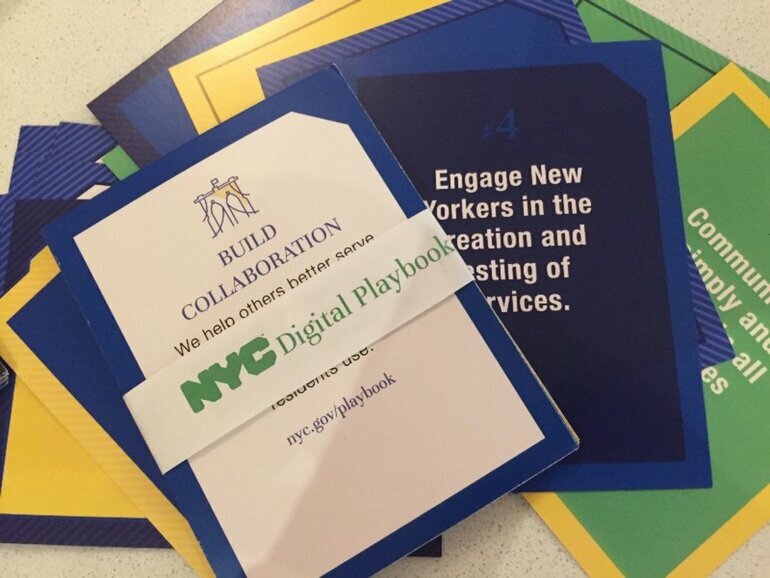 NYC Digital Playbook strategy decks like these are distributed to department leaders throughout the city. Image via New York City. Geographic information systems are hardly new. But the rise of open data, ubiquitous Internet connectivity and mobile technology has breathed new life into government GIS. That includes big, national issues like figuring out where to target Zika prevention efforts, as well as hyper-specific applications such as helping the craft brewing industry find the best available land to grow hops on. As tensions with local police departments flared up across the country in 2016, the White House Office of Science and Technology Policy began exploring data as a possible way to help make the criminal justice system more equitable, transparent and efficient. More data than ever is becoming available from government, especially from body cameras. If that can be supplemented with data exchanges, it might help do everything from craft fairer policies to improve parole questioning. Police departments around the country have been adopting body cameras over the last few years. Photo by David Kidd. After a U.S. Department of Transportation announcement sparked a hectic five-month scramble, Columbus, Ohio, won the Smart City Challenge in June. Its prize included $40 million for high-tech transportation projects, $10 million for electric vehicles, and a huge variety of services and equipment from companies eager to showcase products. Among Columbus’ plans: automated driving and connectivity to help bring people to transit, connecting ride-sharing to citizens without digital payment and an app to help truck drivers navigate the urban landscape. Contra Costa County, Calif., may not be the same high-tech hotbed that Silicon Valley or San Francisco are, but the Bay Area county is certainly on its way. In June, Randy Iwasaki, executive director of the county’s Transportation Authority, sat down with Government Technology to talk about some of the area’s projects. They include autonomous shuttle testing at a decommissioned Navy weapons station, social budget feedback efforts and a “smart corridor” project that aims to help people avoid congestion when traveling across the bay. Six months after new Mayor Jim Kenney began shaking up Philadelphia’s innovation and technology efforts in a major way, reviews from inside City Hall were largely positive. New CIO Charles Brennan now reports to a role called the chief administrative officer, interfacing less with the mayor. Kenney also closed down the Mayor’s Office of New Urban Mechanics. Though some were skeptical of the city’s ability to innovate under the new structure, others said Philadelphia was working to improve internal processes and become more efficient. In Philadelphia, some officials herald the new organizational structure as a salve to the city’s operational scrapes and a future vehicle for an innovative 18F-style group. But fans of former Mayor Michael Nutter claim the CIO role is being buried in the org chart and that Philadelphia’s technology effort is flagging. Photo via Flickr/Dustin Spengler. As the concept of the smart city has grown, it has matured — and that maturity has meant government scaling back huge, ambitious concepts into practical, everyday solutions that make life better, save money and help the public sector work more efficiently. In June, Government Technology explored the change, and how cities working to become smart are now focusing more on outcomes and system integration than on technology.